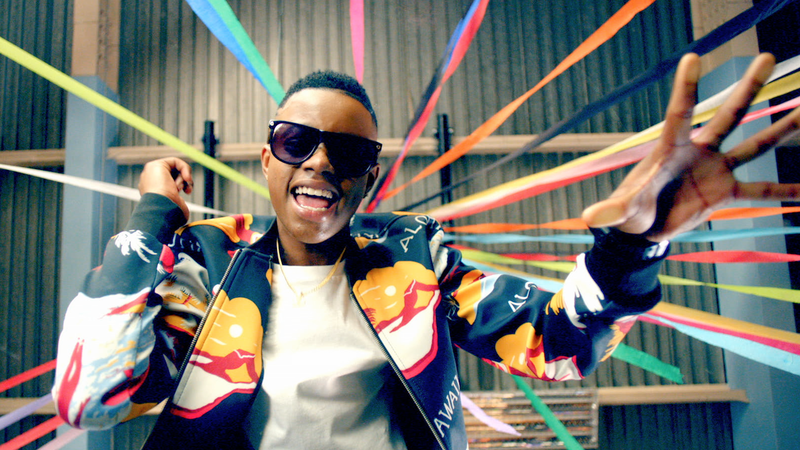 Silentó's career was supercharged by his viral dance. The song "Watch Me (Whip/Nae Nae)" was an unstoppable force in 2015’s pop culture. Silentó's maniacally catchy track not only cracked YouTube’s top 10 most-watched music videos of the year, but became a runaway dance phenomenon as well. Silentó's dance also spawned thousands of imitators who served to amplify the effect of the official video’s 622 million (and counting) views. But if you think the dance’s success was a happy accident for the artist, a viral hit that simply captured the imagination of the public at the "right" time, you’re wrong. The explosion in popularity of the “Whip/Nae Nae” dance was the result of a carefully orchestrated campaign spearheaded by one particular company: DanceOn. CEO Amanda Taylor describes the company as a digital network that promotes the work of around 1,200 creators of dance content (she uses the term “influencers”). A creator will shoot a dance video and DanceOn will work to get it exposure, and subsequently, help it bring in revenue. Though most of its contracts have slight variations, DanceOn generally takes a percentage of an artist’s revenue for a variety of services that range from promotion to ad sales to management. And DanceOn can work with a dancer on a single video or an entire catalog, depending on the situation. But the innovative part of the company rests in how DanceOn can leverage this network to create, practically out of thin air, a worldwide dance trend. How do they do it? Let’s look at "Watch Me (Whip/Nae Nae)." Taylor says that after approaching Silentó for permission to make unofficial dance videos for the song, DanceOn tapped 50 members of its network to make their own variations on the video. Those 50 partners, in the span of 2.5 months, drove 250 million views. And when you have that kind of traction, it snowballs outside the network. Taylor says they got about 500 million views total during that period for variations on the dance. Taylor founded DanceOn about 5 years ago, after noticing that YouTube was causing all kinds of new video types to pop up. “People were recording themselves talking about clothes, or playing games, and getting famous for that,” she says. She thought the universality of dance videos would let them become one of these emerging forms, a belief that was confirmed with the viral popularity of things like flash mobs. To capitalize on the potential of dance videos, and turn them into a money-making format, Taylor sought to create “a third party that wasn’t the individual artist, and wasn’t the platform.” That idea turned into DanceOn, which makes money not just by taking percentages of ad revenue, but also by doing sponsorship deals directly with brands like Coca-Cola, Sony, and Reebok. DanceOn’s first experiment with this type of campaign came in early 2015, when DanceOn asked artist Trevor Westly if they could create an unofficial music video for his song, “Chivalry Is Dead.” DanceOn tapped one choreographer/dancer, Ian Eastwood, and partnered with Jamba Juice to create the video, which currently has 9.4 million views. Taylor says her team buoyed its success. As you can see, they are dancing in a Jamba Juice. “We scratched our heads and asked, can we do this at scale,” she says. With "Watch Me (Whip/Nae Nae)," instead of 1 dancer driving 9 million views, 50 drove 250 million (and more outside the network). But Taylor doesn’t want to stop there. DanceOn’s network is 1,200 people, she explains, and growing. If Taylor gets her way, next time you are dancing in your bedroom, trying to recreate the latest dance trend, you’ll be helping build DanceOn’s latest hit.